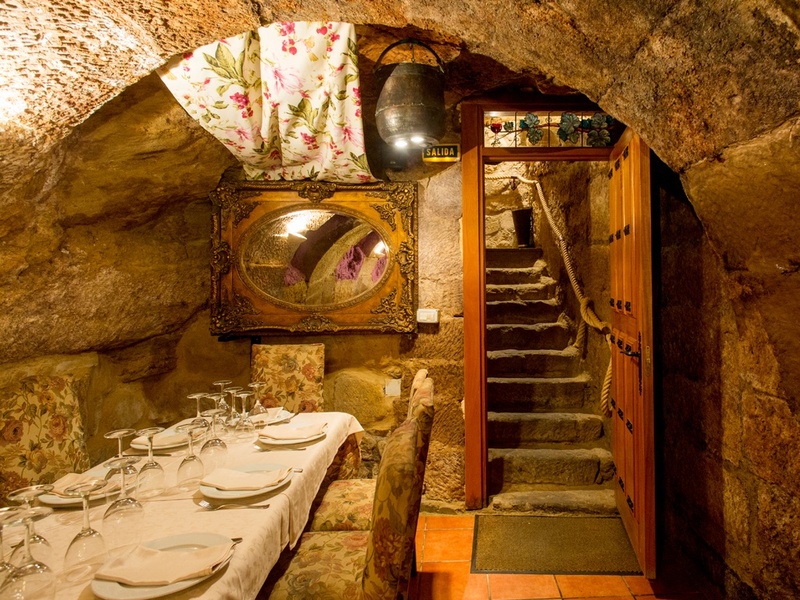 Eating in a seventeenth-century old cellar is only possible in Briones. When Gerardo and Nuria devised this project, they dreamed of a special place. A different space with its own identity. A place with soul which might remain oblivious to fads and trends. 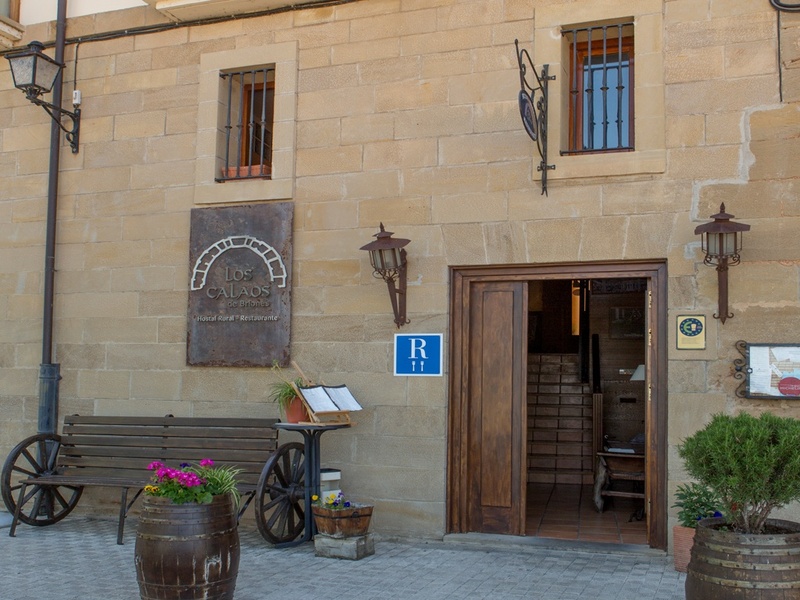 Briones, the small town of La Rioja in which both spent their childhood, was the site chosen, and why not in the cave cellar, the "calao" as they say locally? 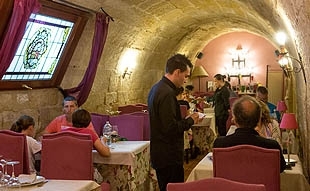 Why not in a traditional wine cellar? Can there be anything more typical in this land of great wines? 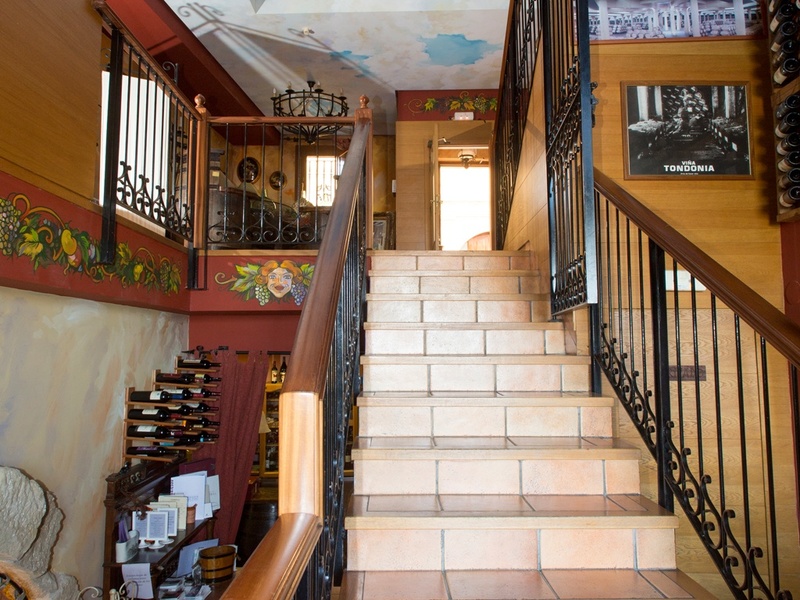 All said and done, once the winery was located in the town centre, and after an arduous restoration project that lasted for several months, the Los Calaos de Briones Restaurant opened its doors to the public in late 2004. 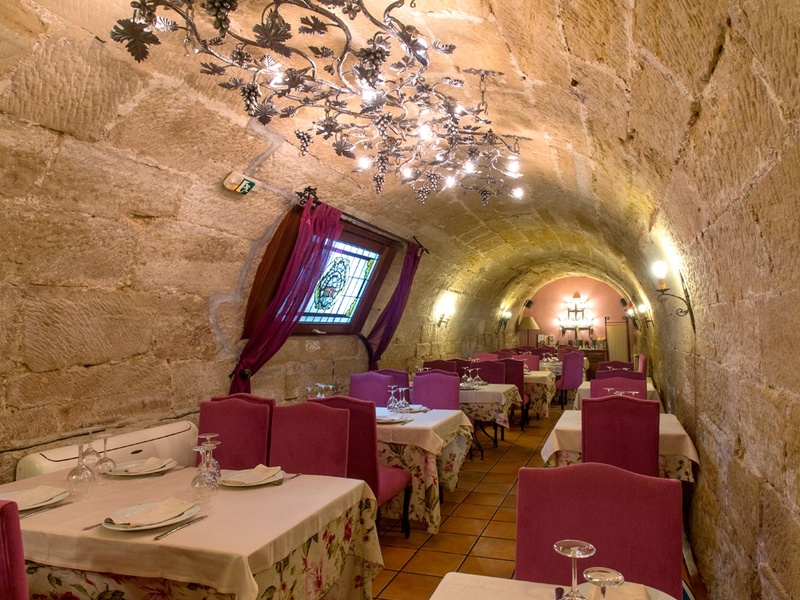 Los Calaos de Briones restaurant has two dining rooms in the form of cave cellars of an old family winery located in the town centre. 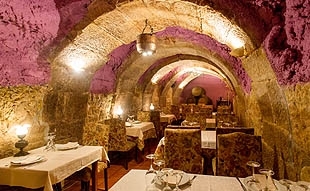 The first one, three and a half meters wide, forty meters deep, serves as the main dining room. It is connected directly to the kitchen and allows a capacity of forty people. The second room, dug directly into the rock to six metres deep with respect to the street level, allows a capacity of thirty-five people and access is via a stone staircase. Both dining rooms have comfortable classic furniture. The scenic lighting, stone and vaulted ceilings give them a truly special atmosphere. Do you know what a “calao” or “calado” is? A "calado" is an underground cave with a high level of humidity and constant temperature all year used to raise and age wines. 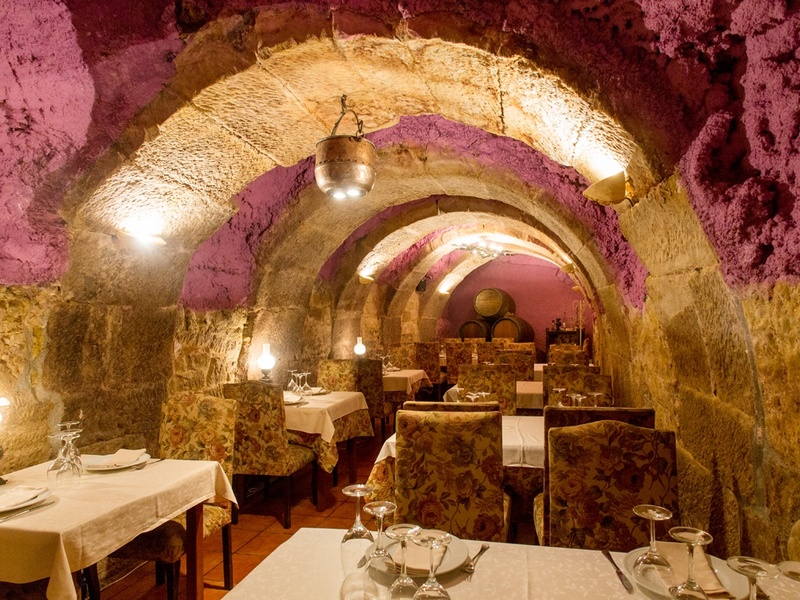 In many La Rioja towns, it is common to find cave cellars located under private homes. They are authentic traditional wineries used by families to develop and maintain their own wine.